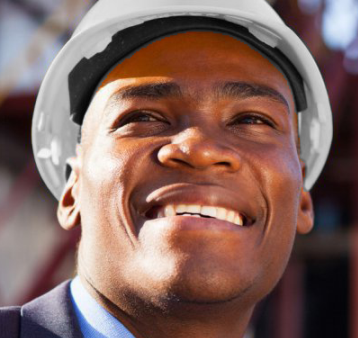 MECS Africa, focuses on servicing the African continent and boasts significant experience in recruitment and project support across all African countries with a database of over 50,000 candidates. Our diverse team of multilingual consultants have the unique ability to understand the subtle nuances and needs of different cultures which gives MECS the edge in working cross-borders. Throughout Africa there has been exponential market growth and business development, increasing the demand for skilled labour. MECS has the knowledge and expertise to offer an integrated human resource solution that fully addresses the demands of managing a permanent and temporary workforce. In turn, giving international candidates the opportunity to develop their careers and specialised skill set. The skills shortage in many countries and the high demand for expertise on projects, has necessitated the expansion of our global footprint. MECS Global affords us this wide international reach. MECS Global has an extensive network of international service providers and an in-depth knowledge of cross-border projects across various sectors that allow us to provide a comprehensive solution to your manpower needs. Our success lies in having more than 34 years' expertise in providing the perfect candidates while tailoring logistic and mobilisation services for each project. This involves intricate planning to ensure the efficient and timeous placement of project personnel internationally. MECS has also partnered with JSM Appointments, a Perth-based recruitment company specialising in skilled personnel for the mining, power and energy industries in Western Australia. This partnership bridges the geographical divide by offering our services to the Australian mining and engineering sectors. This partnership focuses on providing manpower for Australian companies operating across Africa, as well as supporting the technical skills shortages in Western Australia. South Africa requires an economy that meets the needs of all its citizens in a sustainable manner. This is only possible if the economy builds on the full potential of all its residents and resources across the length and breadth of the country. MECS is fully committed to investing in South Africa’s economic transformation and development strategy. We aim to facilitate this growth in our vision of being an integral part of sector-wide development and sustainable growth through measurable key deliverables. MECS Growth is a level three contributor and recognsed for its 100% BBBEE procurement initiatives. MECS Gov is a service-orientated business that focuses exclusively on manpower management in the government sector. We offer an effective, specialised solution while never compromising on the quality of service provided. We understand the needs of our clients and are committed to our recruitment process in which clients are communicated to on an ongoing basis and in a transparent manner. Thus improving the speed with which we place candidates. Our extraordinary team is motivated to exceed all expectations by persevering in the search for the perfect candidate in each position. We provide assurance that your workforce has the appropriate level of skill, certification, qualification and experience to meet project demands. MECS has offered exceptional Human Resources services for more than three decades, delivering high calibre candidates to its clients. Recently added to our manpower services portfolio of expertise is the agricultural sector. MECS Agri is well positioned to react effectively and timeously to the demands of manpower management in the agricultural sector. The company’s strong candidate database and solid experience on the ground in various African countries have established MECS as the preferred recruitment supplier to a variety of companies internationally. Through a joint venture with MECS and NOSA, the NOSA Employment Agency was established to meet the growing recruitment demands of the safety, health environmental and quality (SHEQ) management industry. NOSA Employment Agency is a niche recruitment service that specialises in placing qualified and experienced professional SHEQ managers and practitioners in contract or permanent positions, alleviating the burden of sourcing SHEQ manpower across a wide variety of sectors. NOSA trains more than 40,000 individuals annually and has more than 1,000 auditing clients in the SHEQ industry. Our affiliation with NOSA makes NOSA Employment Agency the leading agent in this specialised market. We have a domestic and international candidate database of more than 7,000 professionals. Our database has the most highly skilled and experienced professionals available in the SHEQ market. Through sourcing, screening and recruiting the best candidates, we provide your company with the critical skills to initiate, implement and deliver a successful SHEQ risk-management programme and culture. We screen and profile all our candidates through the completion of a technical competency questionnaire and, thereafter, provide our clients with a comprehensive profile of these candidates. This includes a detailed CV with references, technical competency test results, interview notes and photographs. NOSA Employment Agency fully encompasses all the services provided by MECS.